I don’t want to sound rude or cast any aspersions on the role of the CDO but after filtering some really credible data from numerous sources, it appears to me as if it isn’t going where it should have been. More than a year ago, ZDNet published a blog post titled: “Is this Really the End for the Chief Digital Officer?” written by a senior journalist Mark Samuels. I partially agree with Mark. However, I would like to give my view on it with certain degree of optimism and, at the same time, caution. To straight away counter Mark’s argument, the data published in Strategy+Business is quite an encouragement for the CDO. The 2016 study of chief digital officers (CDOs), which analysed the presence of such leaders among the world’s 2,500 largest public companies, revealed that 19% of them have now designated an executive to lead their digital agenda. Last year the number was just 6%. The study claims that 60% of the digital leaders have been appointed since 2015. 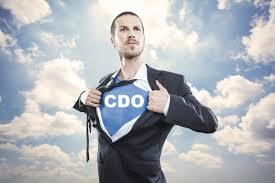 I argue that assigning someone to lead the digital agenda and appointing a CDO are two different things. Strategy+Business data suggests that ‘person’ responsible for forwarding the digital agenda in an organisation could be known as anything. Barely 40% of them are C-level execs. Rest 60% is formed by directors, VPs, etc. CDO can be (or should be?) a Non-Technologist:Here’s where Strategy+Business data suggests otherwise. The background of the digital leaders matters, and matters a lot. In 2015, just 14 percent of CDOs had acquired their primary expertise in a technology field; in 2016 that proportion more than doubled, to 32 percent. Meanwhile, the percentage of CDOs with marketing, sales, and customer service backgrounds fell from 53 percent to 39 percent. And the percentage of technology-oriented CDOs in the C-suite is even higher — 41 percent, compared with 33 percent for marketing and sales CDOs. Technology is perhaps the only function that cuts across the entire organisation apart from the role of the CEO. A CDO’s role is fairly new and came into being to provide a detailed view of market trends, analyse the developments in new technology and also keenly keep an eye on customer behaviour and changing patterns. CDO’s mandate was to disrupt the mundane and challenge the established rules. This requires someone courageous to challenge the status quo. My Question: Can a non-technologist stand with the same courage without having the technology knowhow, which is the backbone of the digital disruption? If you are a CDO, you will shoot down this idea point black saying technology leader [or CIO] knows nothing about the marketing and customer technologies and thus the CDO. During a freewheeling conversation with a CIO of a large Indian media conglomerate, I found out a very funny thing. The organisation ran a SAP-CRM. The reports showed the CIO that it wasn’t used at all. The CIO brought the CRM down one day and to his surprise no one came complaining. The same CIO is now working on an agile CRM tool with appropriate education of the users to encourage them to use it. The same CIO also brought in a lot of action in the social media domain, which a non-tech CDO could have never thought of. CDO means License to Know Customer: Some say that since the CIO was too occupied in IT heavy lifting and therefore had no time to be customer-obsessed, the need for the CDO came up. If the CIO locked himself in the backroom to keep the lights on, it was unfortunate and quite shameful. The role of the CIO was also to know the customer, be obsessed with them and create a culture in the organisation that customer is the pivot. My Question: Can a CDO, without having the wherewithal of understanding the customers, be still the right choice? Again, you can counter me on this by saying how can a CIO be customer-obsessed? His job is to create technology solutions for business. A CIO’s role was also to know the customer and not warm the chairs in the back room. Yes, the traditional IT (ERP, Supply Chain, and other rudimentary infra) needs to be taken care but is CIO the one for it? I feel that those who couldn’t manage digital conversations fuelled the growth of CDO. Many CIOs aren’t communications savvy and thus suffer from inferiority complex and shy from taking the plunge giving an edge to a different person like a CDO. Only CDO Knows Negotiations: CDOs know it all when it comes to business negotiations. They are in command when it comes to getting the best ideas. Authors Tuck Rickards, Kate Smaje, and Vik Sohoni in their McKinsey article [dated 2015] “Transformer in Chief: The New Chief Digital Officer” say that CDOs are ultimately judged by their ability to lead different types of teams, guide projects, overcome hurdles, and deliver integrated change. Have they really lived up to it? Ever since we have started noticing the digital disruption in its true sense, most examples have been led either by a CEO or a technology mind. As far as my knowledge is concerned companies like Airbnb, born out of a digital disruption process, still don’t have a CDO. My Question: If the digital maturity of a CDO is not that great, and there is a CIO who has better negotiation abilities and ideation capabilities, shall the former still be there? I was recently with the CIO of world’s largest automobile company (by number of units produced per annum). He had just presented his digital vision to the board. Upon sifting through those slides, I realised that it was his ability as an effective communicator, a smart negotiator and sharp business acumen that have often won him the tough boardroom battles. The CIO has digital maturity and is aware of what it means by digital transformation. The CIO deals effectively with all key functions, never spoils his precious time merely in license negotiations, and renewing the IT contracts. He has evolved and now talks all things digital. He works alongside the customer service chief, and leads the company-wide innovation from the front. Perhaps the companies are realising that this kind of leadership already exists in the CIO or the IT leadership and that’s why the growth in the CDO position is kind of stalled. A second way of interpreting this is that in many cases the digital leadership (CDO) and CIO team up well and thus the coordinated leadership doesn’t give rise to the so called CDO role. I would be happy to debate with #CDOs and #CIOs without any prejudices and malice.